Gilbert F. Shelsby, Jr. has won a string of impressive jury verdicts in Delaware, where his practice takes in an array of personal injury and medical malpractice cases. Shelsby, who is of counsel at Kline & Specter, in 2013 helped win a $30 million settlement for a young child who suffered severe brain damage due to improperly managed anesthesia during a routine procedure at an area hospital. Earlier, he litigated a workplace injury case in which a man severely injured his arm and shoulder when another employee started a diesel tractor trailer engine while he was working on the transmission. 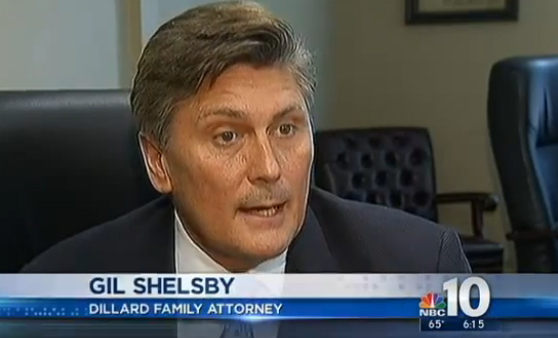 When an insurance carrier offered a mere $20,000 as a settlement, Shelsby took the case before a jury and won a verdict of $3.2 million. In a birth injury case, Shelsby represented a boy who suffered permanent neurological nerve injuries to his arm because of a shoulder injury that occurred during delivery after a doctor failed to perform a necessary Cesarean section. A trial in the case lasted nearly two weeks, with a Delaware jury returning an award of $1.5 Million. Shelsby negotiated a settlement of more than $4 million in a medical malpractice case in which a woman suffered the loss of her kidneys. The injury occurred after the patient was diagnosed in a Delaware hospital emergency room with having a kidney stone and infection but was sent home without antibiotics. She later suffered septic shock. Before starting his practice with partner Robert J. Leoni, Shelsby & Leoni, Shelsby practiced insurance defense law, representing doctors and hospitals in medical malpractice cases. The experience gave him critical understanding in how insurance companies evaluate and defend personal injury litigation. Shelsby has been selected as a top medical malpractice attorney by Delaware Today magazine and his accomplishments have been recognized each year since 2007 by the independent attorney rating service Super Lawyers. He has been a featured guest speaker on medical malpractice issues at a number of forums, including the University of Maryland Law School and Widener Law School as well as hospitals in Wilmington and Baltimore. Shelsby earned his undergraduate degree from the University of Maryland Baltimore County and his law degree from the University of Maryland School of Law. After law school, he served as a law clerk for Joseph H.H. Kaplan, the administrative judge of the Circuit Court for Baltimore City. Shelsby is admitted to practice in Delaware, Maryland and the District of Columbia. He has taught seminars on Delaware nursing law. Shelsby is a member of the American Board of Trial Advocates, the American Association for Justice and the Delaware Trial Lawyers Association.